With all the latest fads and trends, it’s hard telling what type of carbohydrates you should be eating. 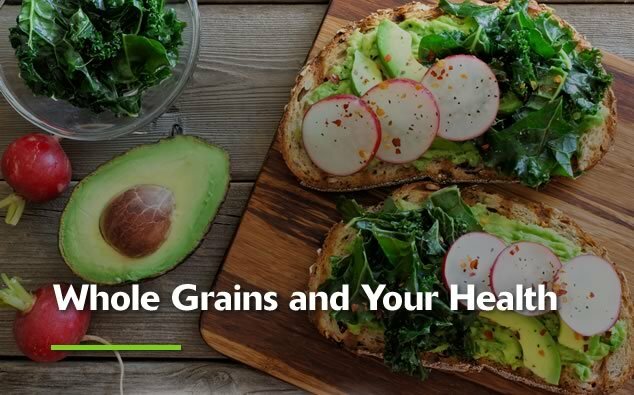 There is tons of research backing the fact that whole grains are superior to refined grains in terms of health benefits. Q: How are whole grains different from refined grains? A: Whole grains consist of the bran, germ and endosperm. This makes up the entire grain seed which is where the term “whole grain” comes from. In comparison, refined grains often strip away both the germ and bran leaving only the endosperm. Later the germ and bran are added back to the grain. This process eliminates the majority of the nutrients (nearly 25%), including fiber, that the grain held before becoming refined. Q: What are the health benefits of eating whole grains? Q: How many whole grains should I bet eating per day? A: The recommended amount of whole grains consumed per day should be 3-5 servings. Be cautious in reading the nutritional facts. The ingredient list should list whole grains as one of the first ingredients listed. Just because it says whole grains does not mean they have not snuck in added sugars to offset the nutritional value. Another indicator of a good source of whole grains is the amount of fiber on the nutritional facts. There should be at least 3 grams of fiber per serving. Q: What are some examples of whole grains? A: There is a wide variety to choose from when picking whole grains. It also depends on what type of meal you are preparing. Here are some examples of different types of whole grains that you can incorporate into multiple healthy recipes. May 10, 2017 in Health, Healthy Lifestyle, Wellness. Are You Traveling for the Holidays? Let’s Plan Ahead. ← Thinking about becoming an organ donor?